Hi, everyone! 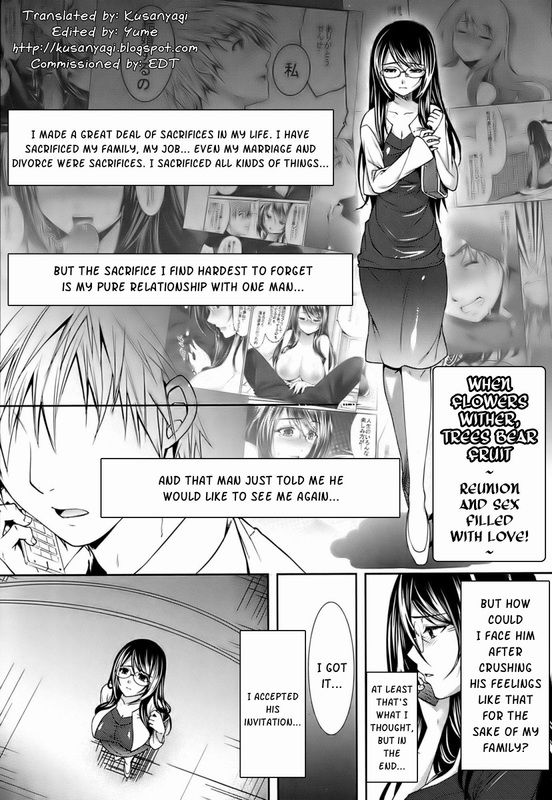 New translation here and this time, it's a nice gender reversal manga by AKYS Honpo. Have fun reading and stay tuned for even more translations coming up soon! Hey, guys! ^^ Here you go with yet another doujinshi, this time on Onegai Teacher, courtesy of Kumyan. Enjoy! Hi, guys! ^^ Another translation here and today, it's a nice Sengoku Otome doujinshi, courtesy of Lanky Geezer. And here's yet another chapter. Hey, everyone! ^^ Next chapter of "Midare Hajimeta Karada" here. Enjoy! Hello, everyone! ^^ Here you go with another translation. Have fun! ^^ By the way, it's a chapter from the book called "Hazukashii Chibusa" and a sequel to one of the stories from it. Hey, guys! ^^ Another translation here. Enjoy!